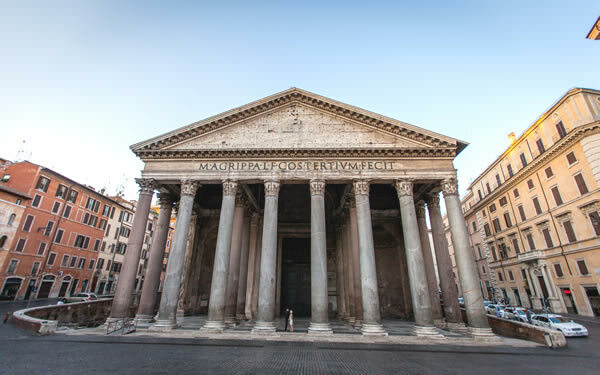 The Pantheon is the most intact of the monuments of Ancient Rome, is located in the Pigna district in the historic center. It was founded in 27 B.C. by Marco Vipsanio Agrippa, Augustus’ son-in-law, as a temple dedicated to all gods. Its magnificence has always created admiration. The interior consists of a circular space whose diameter measures 43.30 meters, with a surprising hemispherical dome that at its top houses a circular opening called OCULO, which allows the illumination of the interior. 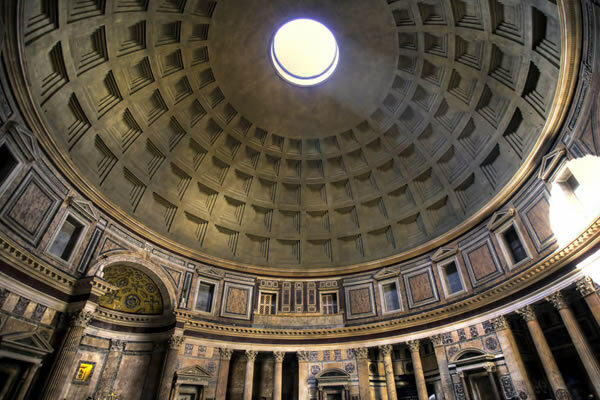 Almost two millennia after its construction, the dome is still one of the largest in the world. The floor is equipped with a drainage system for rainwater that enters from the oculus, through a series of holes that convey the water into a series of drainage pipes. 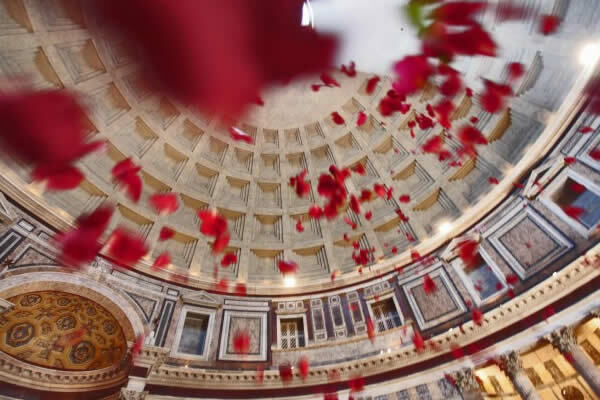 On the occasion of the panthecost, the firefighters let fall from the hypnotic eye, an enchanted rain of rose petals. 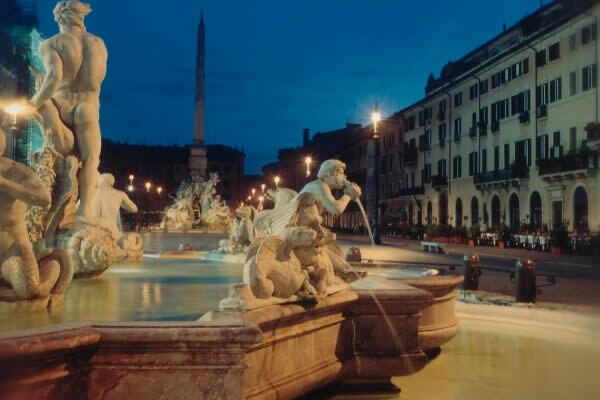 In the days of Ancient Rome, Piazza Navona was a stadium, the stadium of Domitian. Originally, the real name of the square was “in Agone”, from the Latin games, because the stadium was used for athletics competitions. 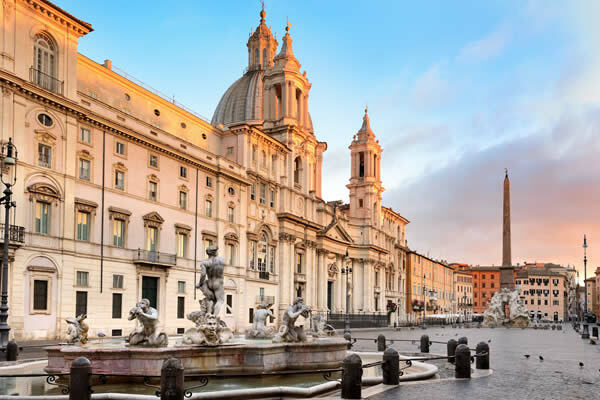 As we know it today Piazza Navona was built by the Pamphili family at the behest of Pope Innocent X, in the seventeenth century. 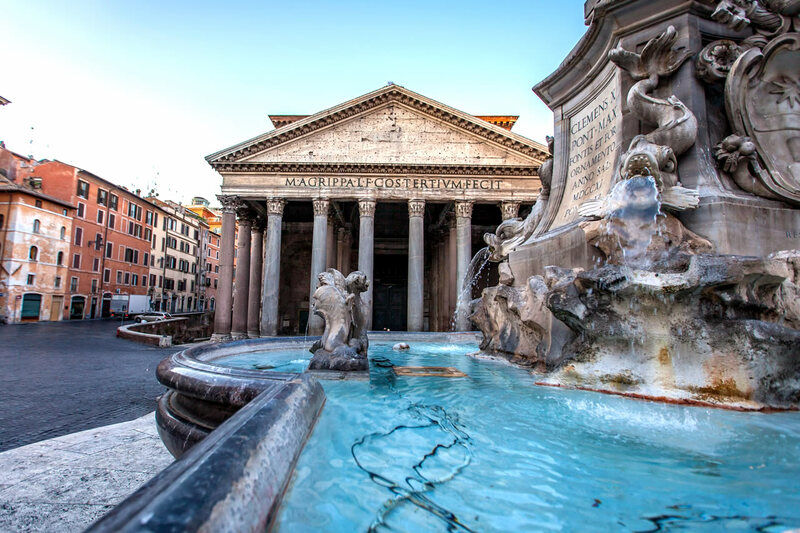 According to an erroneous Roman belief the square was used for naval battles, in fact it was flooded in August to alleviate the summer heat. 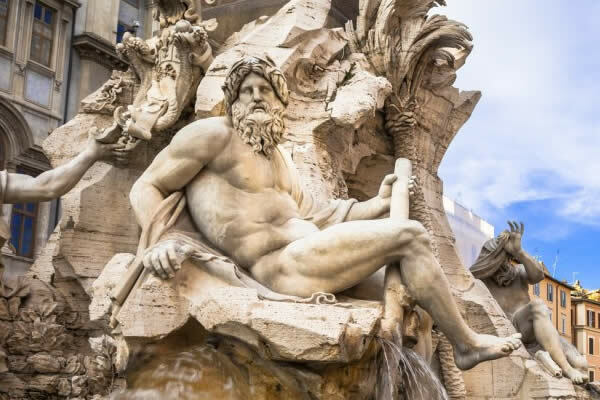 The most important monuments are the Fountain of the Four Rivers by Bernini and the Church of St. Agnes in Agony by Borrimini, the two greatest architects of the Roman Baroque. Today the square is home to street artists and portrait painters every day. 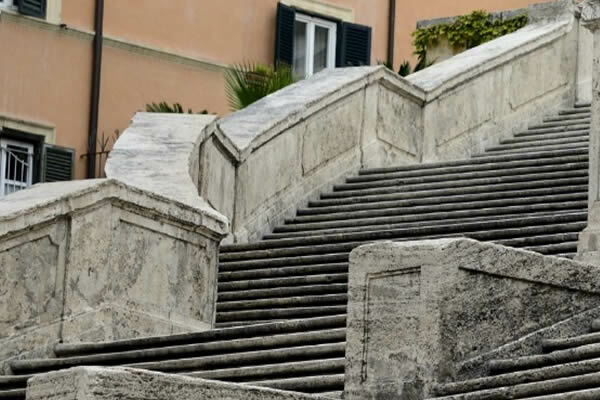 It is a historic square in Rome, famous especially for its staircase that was inaugurated in 1725 designed by architects Mirrors and De Sanctis. In some periods of the year the beauty of the staircase is enhanced by numerous flowers. 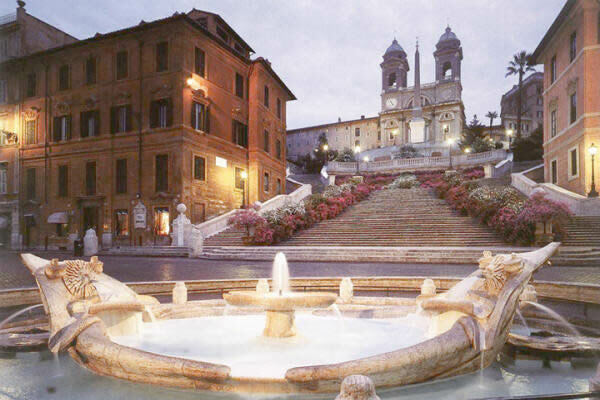 At the center of the Spanish Steps there is the famous Fountain of the Barcaccia, by Bernini. 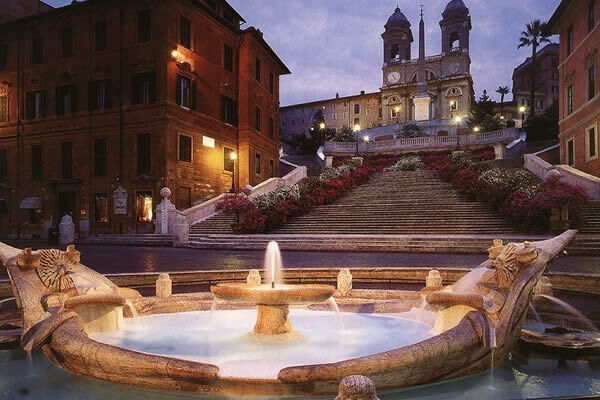 Piazza di Spagna is undoubtedly one of the most beautiful stairs in Europe, leads to the top of the church of Trinità de’ Monti and at its base is located one of the most beautiful fountains of Bernini, the “Barcaccia”. 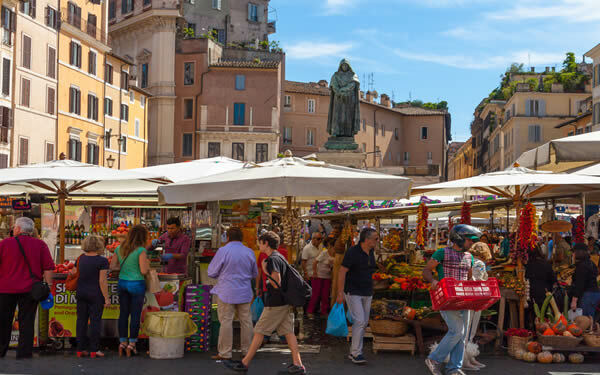 Famous Roman square since 1869 is home to a lively market. 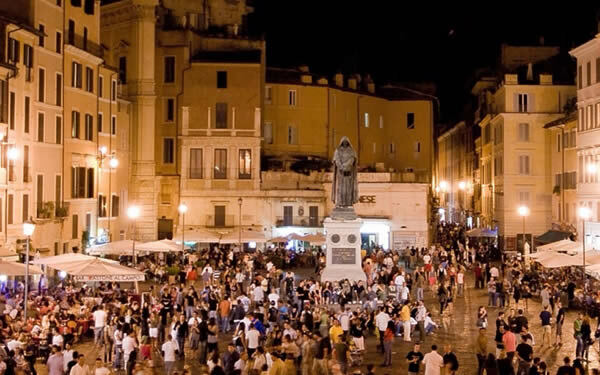 Today the square overlooks many places that especially in the evening have become a reference point for young Italians and foreigners. 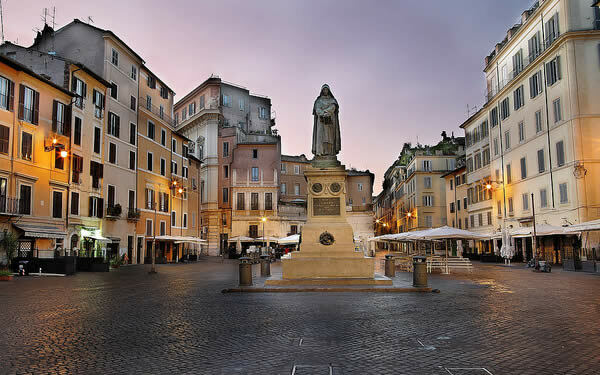 At the center of the square stands the statue of Giordano Bruno, right in the place where he was executed in 1600. 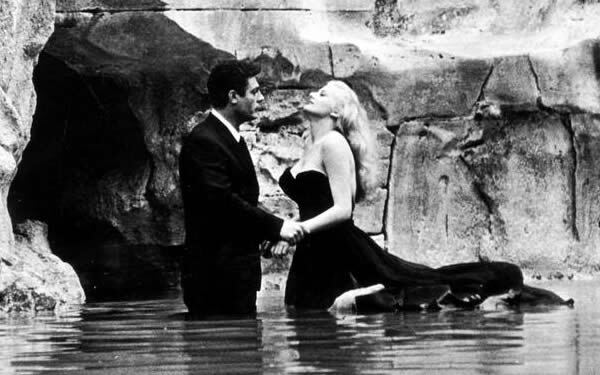 Fontana di Trevi is the largest fountain in Rome, famous throughout the world thanks to the film “LA DOLCE VITA” by Federico Fellini. The project is by Nicolò Salvi in rococo style, but the monument was completed in 1762 by Giuseppe Pannini in late baroque style. 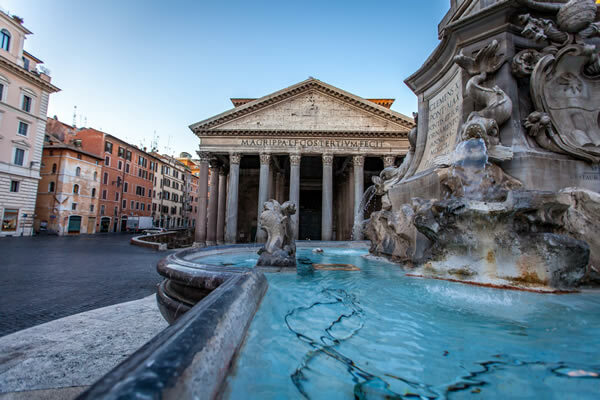 The history of the fountain is linked to the construction of the Virgin aqueduct, which dates back to the time of the Emperor Augustus. 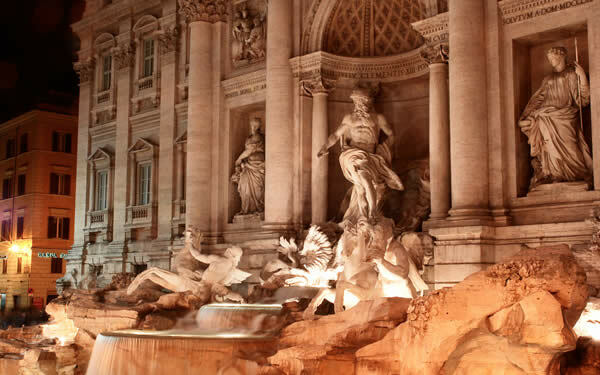 The theme of the Trevi Fountain is undoubtedly the sea. The scenery is dominated by a rocky cliff, at the center of which under a large niche is the statue of Ocean leading a chariot in the shape of a shell pulled by two winged horses. 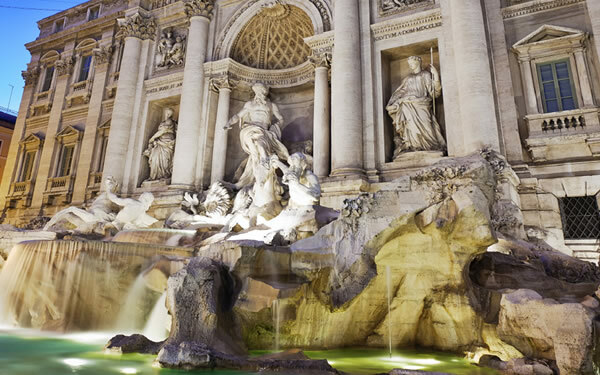 It is an independent state inserted in the urban fabric of Rome, headed by the Pope of the Catholic Church. 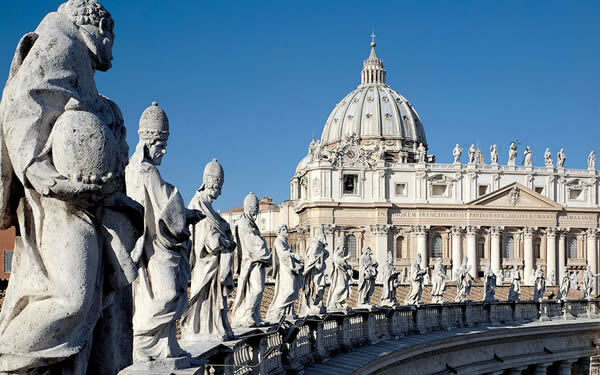 Symbol of the state is the Basilica of St. Peter, the largest church in the world, connected by a raised corridor to the Vatican Palaces. 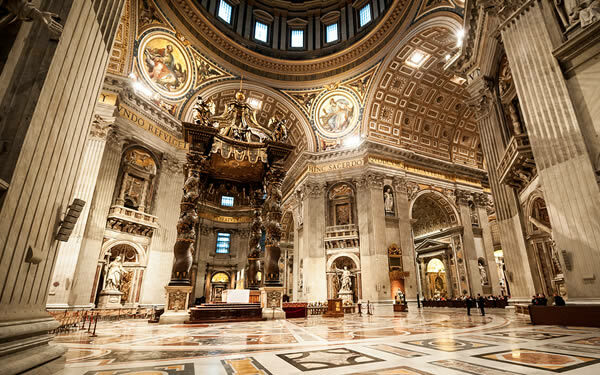 The dome of St. Peter’s by Michelangelo, are symbols of Rome. The interior of the Vatican Museums is mainly the Sistine Chapel. 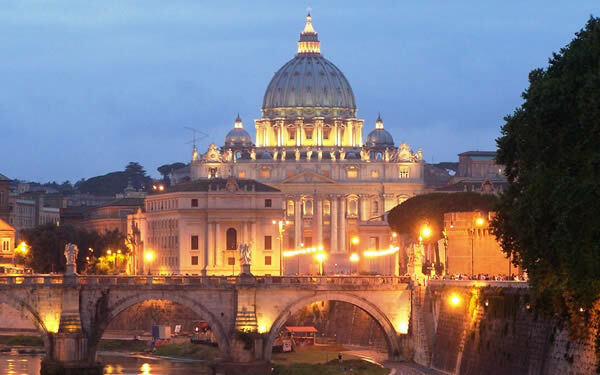 The Vatican is the main seat of the Christian religion in the world, where the Pope, currently Pope Francis, former Cardinal Jorge Mario Bergoglio, is elected by Conclave. Only 44 hectares wide, the Vatican City State can be considered the smallest independent state in the world, both for the number of inhabitants and for the extension of the territory. Although its borders are certainly delimited by the walls thanks to the so-called right of “extraterritoriality” because of all the Christian churches of the world, it spiritually embraces the borders in the whole world.